Audi A1 Boot Space, Size, Seats | What Car? Head room and interior width in the front of the A1 are right up with the best in class, but you'll find less leg room than in the exceptionally accommodating Mini. That said, if you’re over six-feet tall and concerned that you won’t fit, in our experience you’ll be fine. There's also a lot of storage space for those odds and sods you might need during a journey. There's a generously proportioned glovebox, a recess for your phone in front of the gearlever, sensibly sized door bins and a couple of cupholders. The A1 doesn't lead its class for roominess in the rear, but it should be fine in everyday family use. In fact, you can fit a couple of six-footers behind their equivalents in the front, but their knees will be brushing the seatbacks and their heads will do the same to the roof lining. All the same, there’s more space in the back of the A1 than you'll find in a Mini, which, due to its narrow rear bench and high central tunnel, is essentially a two-seat car in the back. By contrast, and like its Polo relative, the A1 can squeeze in a third adult, albeit with a little shoulder rubbing involved. Other than the Honda Jazz, which has very cleverly designed 'Magic' rear seats to aid practicality, few cars in this class do much to gain a high score in this category. The A1 is another that's strictly par for the course: you get a 60/40 split-folding rear seat, released by levers near the rear headrests, and that’s it. Along with the usual sliding and reclining motions, the front passenger seat is height adjustable on all trims and has manual lumbar adjustment from mid-range Sport trim up. 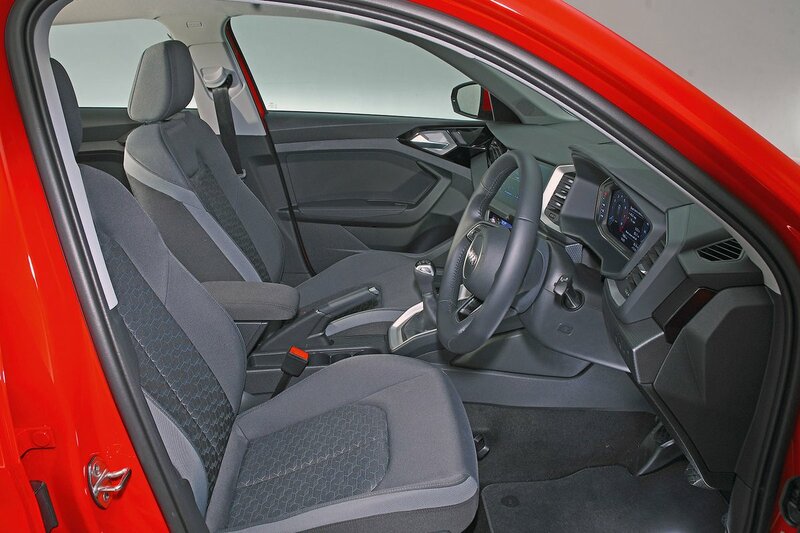 Unlike the Jazz, you can’t lay the front seat flat to increase the load length to accommodate really long items. 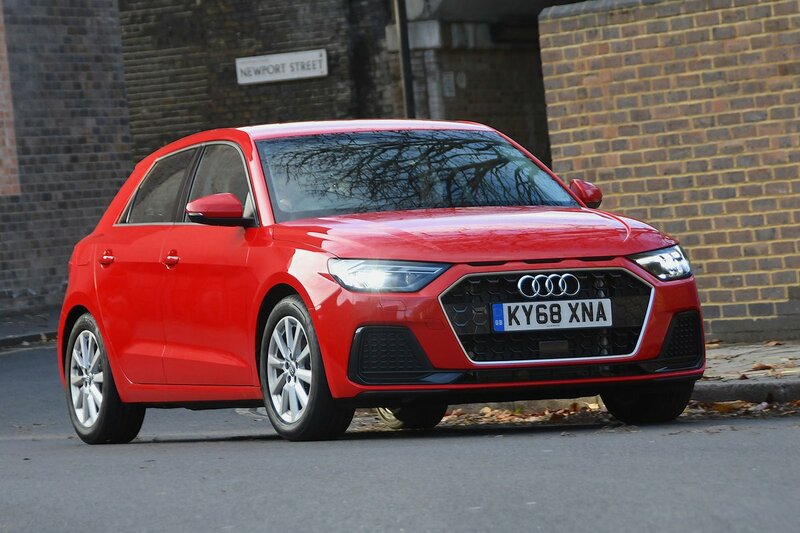 The A1’s boot falls a whisker short of biggest load-luggers in the class – those being the Ibiza and Jazz. Its sizeable luggage compartment is very usable, though, capable of fitting in five carry-on suitcases (the Mini 5dr fits four) and is of a uniform width thanks to minimal wheel arch encroachment. A height-adjustable boot floor is a cheap option that’s well worth adding. It increases boot flexibility by letting you create a separate lower compartment, and its raised setting reduces the lower tailgate load lip and smoothes out the large step created when the rear seats are folded down.